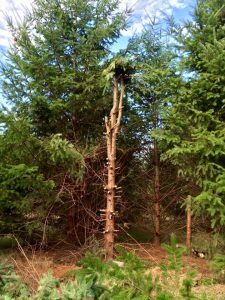 If you want to remove a dead tree on your property but want to lower the cost, certified arborist, Brian French, is just the man. 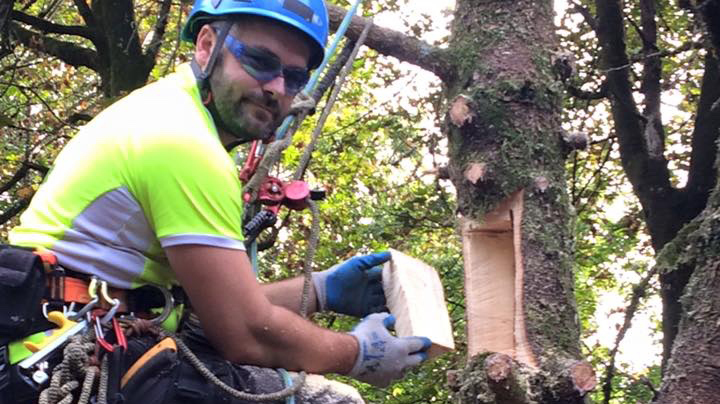 He’s in Portland, OR, and yes, he does travel for business, even for teaching other arborists! Brian will offer you a win win solution, i.e a win for you and a win for wildlife. 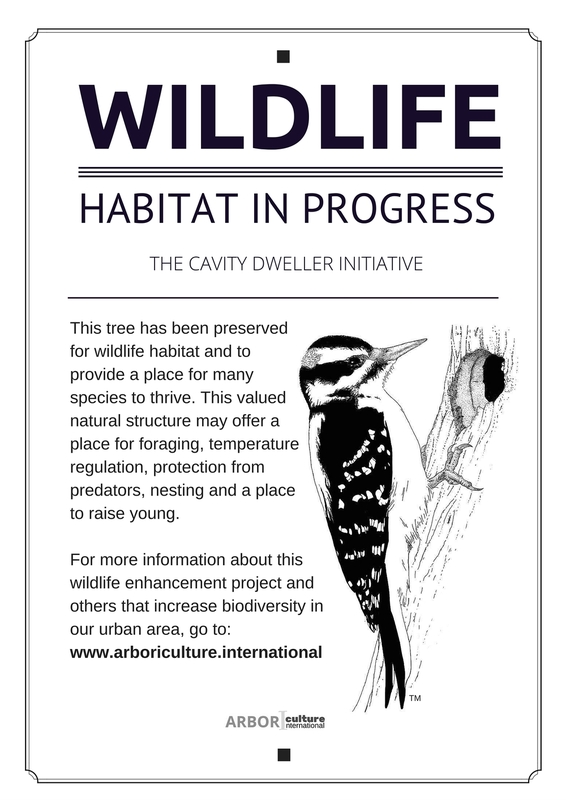 He will enthusiastically explain how he can safely retain the tree, or a portion of the tree, and make it into habitat for birds and other helpful species. Hundreds of dead and dying trees, called snags or wildlife trees, now stand in urban settings thanks to Brain’s trailblazing efforts. His customers are delighted with the cost savings and the feeling that they’ve preserved a valuable but often overlooked natural resource. You see, Brian knows the secondary value of his chain saw. 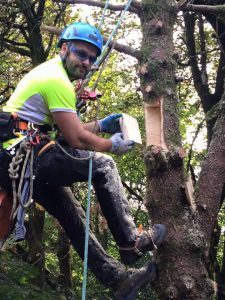 With just a little extra knowledge about species that rely on dead trees, and with some creative cuts of his chain saw, he transforms what most people think of as dangerous and useless, into a safe and valuable habitat element in backyards and in urban forests. Depending on his risk assessment, it could be a 4 ft stump or a 15 ft tree. Picture these possibilities. 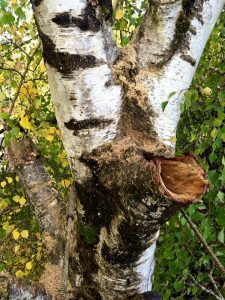 You might end up with a partially hollowed limb or trunk that provides shelter from the elements or a place for birds to nest. Brian might leave you with narrow splits where lizards might hide and join others that enjoy the tree’s free appetizers. Insects of course! 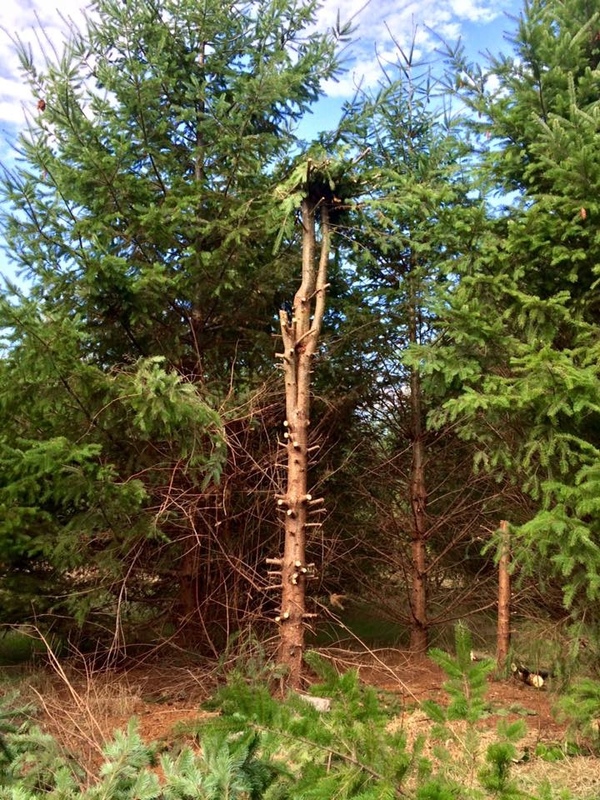 Previously dangerous limbs could become stubby perches that serve as stations from which birds hunt for prey or keep competitors away. Your dividends will ramp up in spring. Male birds are likely to choose the perches to court prospective mates by casting their love songs on the air. But that’s not all. Brian will offer you one more asset for your model tree. Purchase his $30 wildlife tree sign and allow the tree to do the talking when you’re not around. It will tell others about its commendable destiny! Neighbors might follow your example!